IV, 512 p., 1 ill., 15,7 x 21,5 cm. 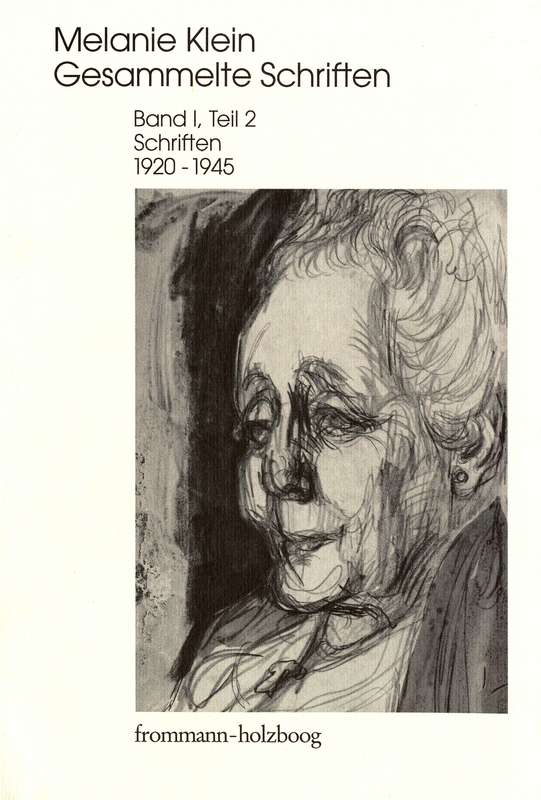 With English translations by Elisabeth Vorspohl, Gerhard Vorkamp and Horst Brühmann. This volume shows Klein’s intense preoccupation with the impact of fears on childhood development. She believed that there was an early superego which is crueler and more primitive than the later superego. The question of how the early superego can develop into the superego postulated by Freud leads her to a clear differentiation between fear and guilt. This occurs in a gradual synthesis between the initially strongly polarized internal objects and a growing assimilation of the superego by the ego. The paranoid fear of the destruction of the ego is masked by fears related to the condition of the object. This gives rise to the desire for compensation and the ability to symbolize, which in turn makes creative processes possible. This volume also includes works which were published in ›The Freud-Klein Controversies 1941–45‹. Beide Bände sind eine unverzichtbare Lektüre für das Verständnis der Entwicklung und Entstehung der Kinderanalyse und liegen hier in einer vorzüglich edierten Fassung vor.